Not much new snow lately and a good snow year in the I-90 corridor allows for some exploration on Humpback. Rainer's been interested in going there for a long time and we've gazed across to it from Granite on many occasions thinking that there must be some good skiing there. We meet BillS at Eastgate and it turns out he's got a couple more friends with him so our group is five. 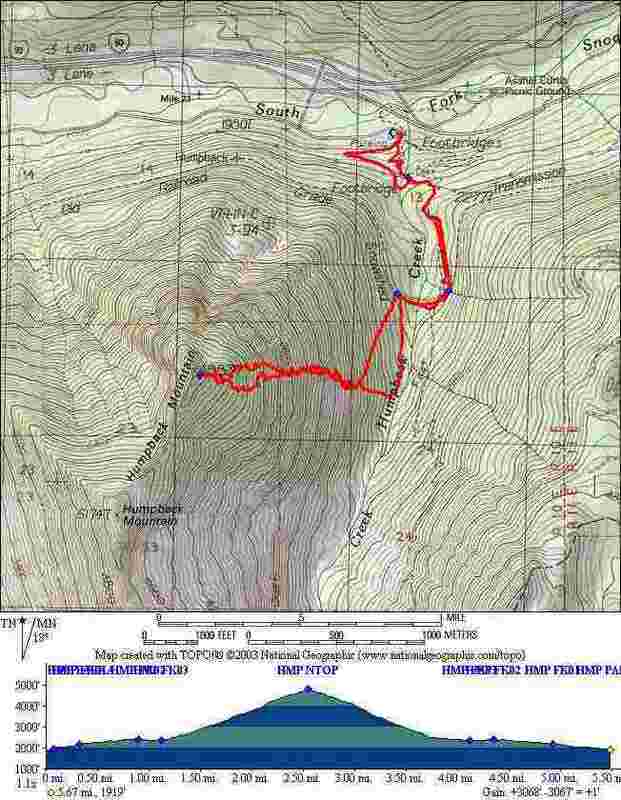 The plan is to follow the trail to Annette lake, then climb the eastern slopes to the top. Snow is sparse at the bottom so we carry our skis to where the trail crosses the John Wayne/Iron Horse trail railroad grade. From here we can see snowy meadows on the flanks of our mountain and they call to us so we follow the RR grade. A short, flat stretch leads to a spot near the avalanche shed and big views out across the eastern side of Humpback. After a short huddle we decide to head up here. Aiming for a big double snag on the ridge ahead of us, we traverse upwards easily through vine maple on firm snow over big and eventually bigger open slopes. The due east facing slopes have lots of little surface sloughs - nothing major but we take the opportunity to turn right up a small ridgeline (due west). We follow this line straight up, linking open glades and stretches of woods all the way to the north summit. The weather started out pretty gray but has gradually gotten better all day. On the top there's lots of blue sky and great views - Granite mountain is BIG to the north. Long views toward Snoqualmie pass. Silver peak. 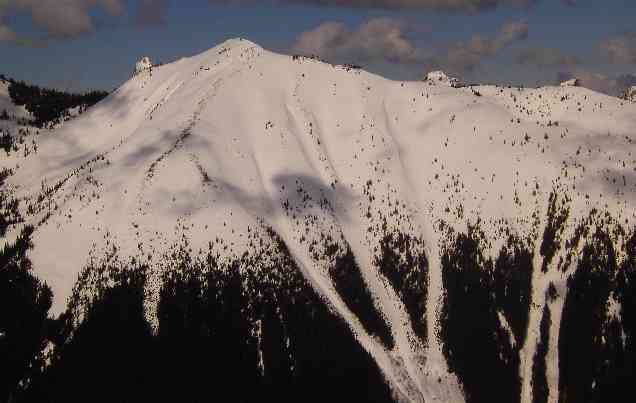 McClellan's butte. We lunch and lollygag for quite a while before starting down. The top 300 feet or so are woods where we mostly follow our up-track. Eventually we break out into the open and follow one glade after another to the bottom. The angle is nice and consistent most of the way to the valley - the snow is nice and inconsistent. 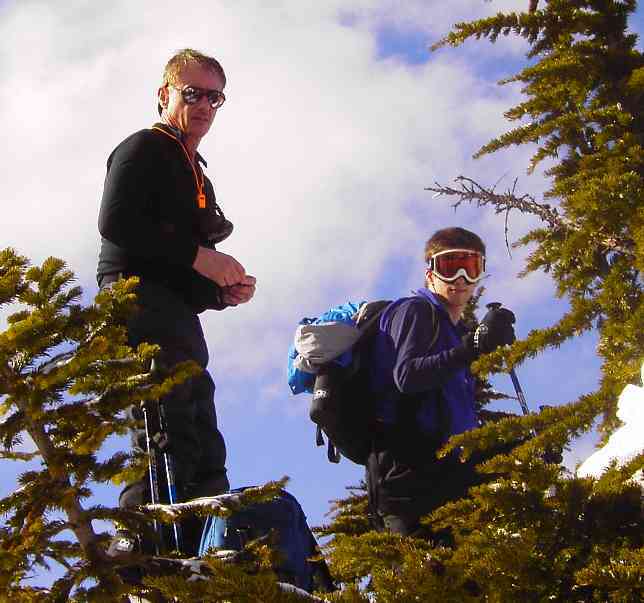 We find some soft snow in the shade up high, some firm spring in the middle and a lot of glop... well, pretty much everywhere. 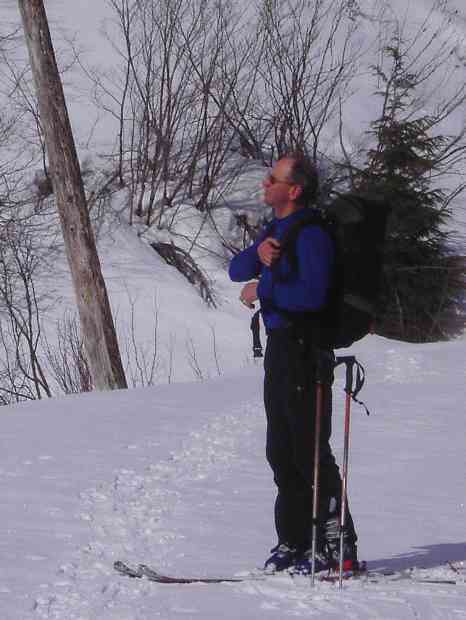 Still, I always say the worst day backcountry skiing is better than... uh... well... I'm sure you know what I mean. 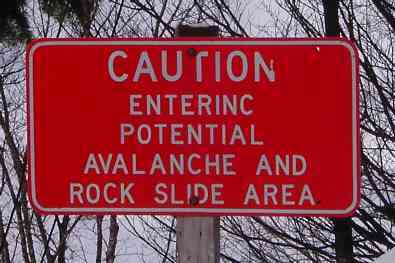 We coast out the bottom of the valley and ski the Annette lake trail/luge run. Where the trail crosses the powerlines we opt to follow the better snow cover on what is probably an old access road. This requires a creek crossing and is followed by a leisurely slide back to the parking area. 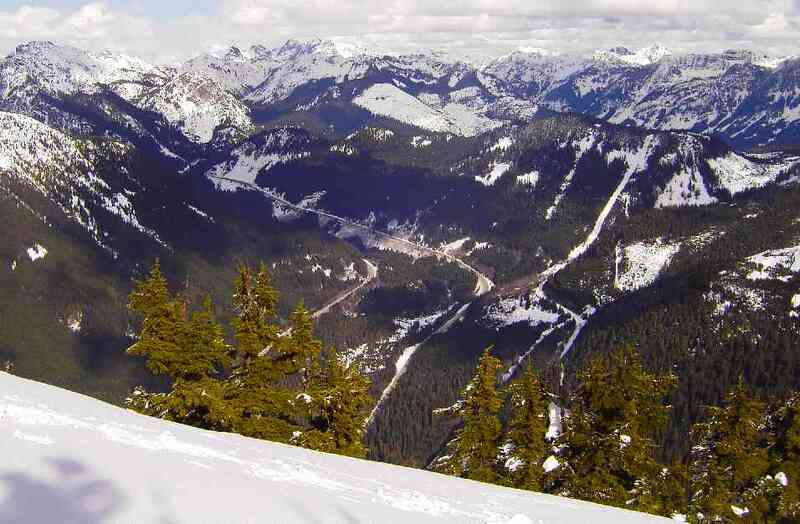 Access and waypoint info: Near Snoqualmie pass on I-90, take the Asahel Curtis exit (Exit 47). Drive to the "T" on the south side of the freeway. Go left (east) one third mile to the Annette lake trailhead and parking area.